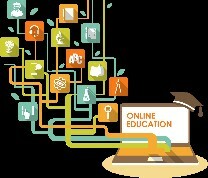 Nowadays, it is no longer strictly necessary to attend “physically” to an educational centre in order to participate in a course on “Basic digital competences”, “A Brief History of Italian arts” or “Fundamentals of Astronomy”: We can do it online through what it is known as a MOOC (Massive Open Online Course). Due to its many advantages, MOOCs have become an outstanding educational practice used by schools from all over the world, and in addition to the traditional course materials MOOCs environments provide audiovisual and interactive resources, and also enable a vibrant digital community for students, teachers and consultants. The EMMA project, in which the UOC and the Edul@b group are involved with the MOOCs EPortfolio Self-development Study and Business Intelligence, develops a platform for hosting multiple European MOOCs and, at the same time, provides an opportunity to share courses to institutions and experts. The project offers a system that allows the distribution of free online courses in several languages: different European universities participate in this pilot action with the idea of helping to preserve the cultural, educational and European linguistic wealth and as a means to promote cross-cultural and multilingual learning. In this sense, EMMA aims to be an exciting educational experience.